Peak body Road Freight NSW (RFNSW) has expressed concerns that truck operators were only given two days to review and renew an agreement allowing them to access the DP World Australia terminal at Port Botany. Meanwhile, Container Transport Alliance Australia (CTAA) is warning that many container transport operators are facing cashflow problems, owing to the new and increased ‘infrastructure surcharges’ DP World and Patrick have implemented / are about to implement. RFNSW says DP World Australia sent carriers a copy of the National Carrier Access Agreement on Wednesday 28 June – just two days before the commencement date of 1 July. RFNSW general manager Simon O’Hara said: “Previously, our members have had 30 days or even 14 days to renew their agreement, but this year it’s a matter of only days. “Frankly, this timeframe is unreasonable and unfair to our members, who spend most of their time on the road. “This is a legal agreement that our members need to carefully consider and if necessary, seek appropriate legal advice on, to ensure their ongoing access to the terminal is commercially fair and balanced and not disadvantaging them in any way. “This simply cannot be done in a matter of days which is what our members are being asked to do. “You wouldn’t expect people to sign a mortgage document, or a business contract or stevedores to sign with shipping lines on matters that could impact their livelihood, in just a few days. It shouldn’t be any different for our members being asked to sign their National Carrier Access Agreement,” Mr O’Hara said. In a message to carriers, DP World Australia said “it is critical that the renewal is completed as soon as possible to ensure continued access to slot-booking facilities” at its terminals. Container transport operators have long been concerned with the ‘take it or leave it’ nature of this agreement, with the stevedore having the power to suspend an operator’s account if they don’t agree to the non-negotiable terms. In light of the DP World Infrastructure Surcharges, and the higher VBS-related fees contained in the new agreement, CTAA wrote to DPWA seeking a change to their payment terms to 30 days. 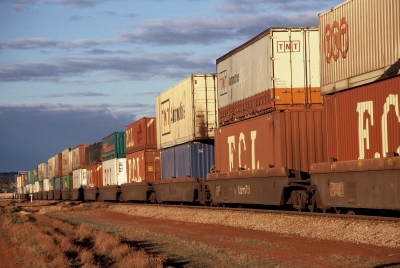 CTAA also encouraged container transport operators Australia-wide to do likewise individually. DPWA has apologised for the short lead-time in issuing the Carrier Access Agreement, and has extended the period of time for container transport operators to accept the terms in writing to 14 July. Disappointingly however, DPWA has issued a blanket rejection via email of the respectful request from CTAA and numerous individual companies seeking an extension of payment terms to 30 days. CTAA, with shipper and freight forwarder groups, continues to oppose the implementation of the infrastructure surcharges imposed on landside operators by Patrick and DP World. Along with APSA / FTA and other organisations, CTAA has briefed Ministers’ offices in various states, government officials, the ACCC, and the Small Business Ombudsman, on the impact of the surcharges. The DP World Surcharges are already causing financial stress for container transport operators due to the cashflow implications. This stress will be compounded by the implementation of the Patrick Surcharges from Monday, 10 July.